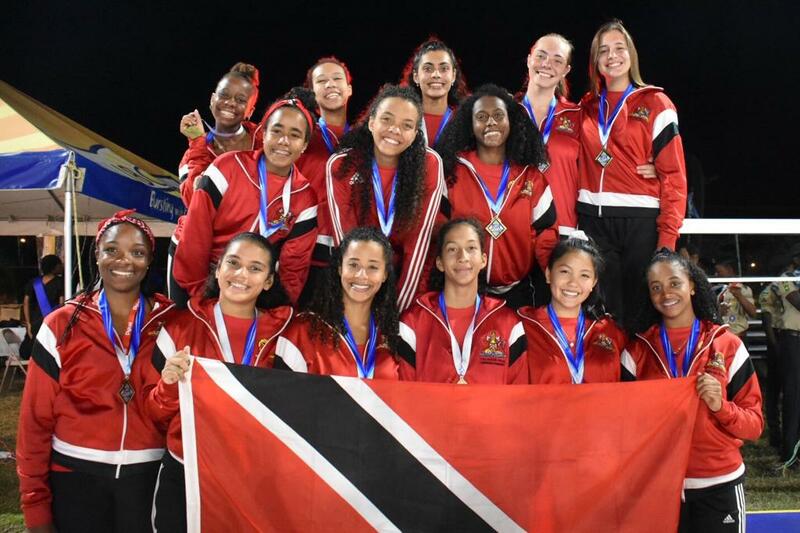 TT Under-19 water polo girls won gold yesterday at the Carifta Aquatics Championships in Barbados. 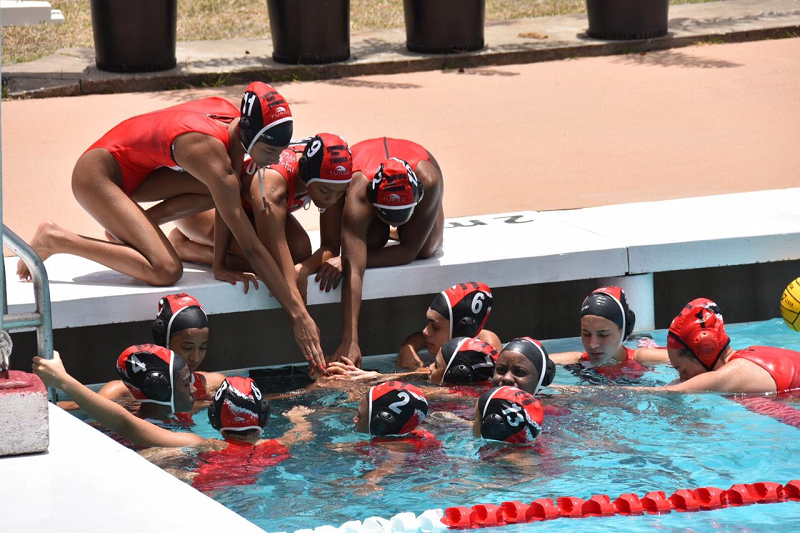 TT’s four-team water polo juniors made a nearly perfect return to the Carifta Aquatics Championships, closing the tournament in Wildey, Barbados yesterday with three gold medals and one silver, the latter resulting from a loss by a single goal in the final. Expectations of the teams were high after missing last year’s tournament, and the two months of intense training ahead of their return evidently paid off. The dominance of TT was no more clear than in the boys and girls 19-and-under teams. The U-19 girls recorded a massive one-sided 18-2 victory over Barbados in the Under-19 final, following two wins over the same team over the previous two days. The 19-and-under boys team ended their campaign with a 24-14 win in their final, also over Barbados. TT played the Bahamas in the two other finals, with the 14-and-under co-ed team correcting a shaky start to win theirs 24-16. 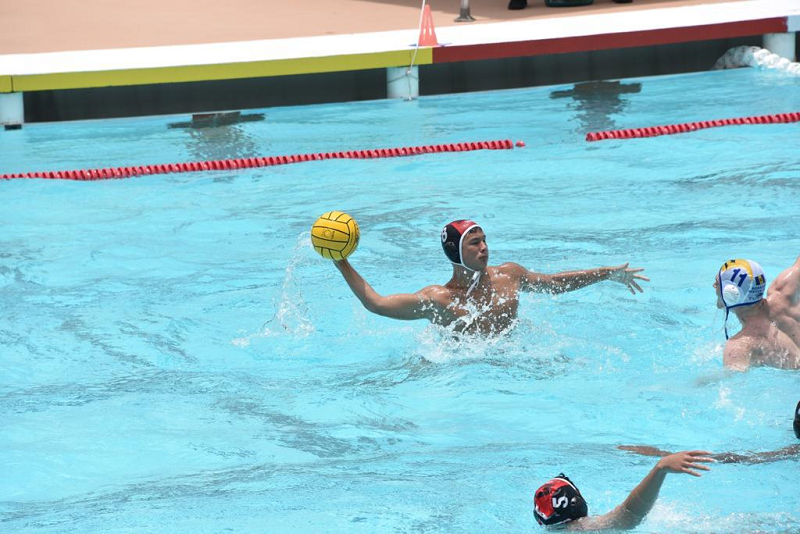 However, the boys 16-and-under team lost 12-11. The TT U-19 girls, who defeated Barbados – their only opponent in the division – twice before, on Friday and Saturday, showed great focus to not relax at all. Victoria Gillette and Jaeda Attong-Julien, both of whom had outstanding tournaments, scored four each in the final. Yasmin Mohammed and Hailey de Leon, scored three and two goals respectively, while Megan Stafford, Tahirah Beepat, Jordan Waithe, Christina Nimblett, Aaliyah Aching added one each. TT Under-16 player Christian Chin Lee looks to shoot in a previous match against Barbados at the Carifta Aquatics Championships. The boys 19-and-under final, which brought the tournament to a close, saw a player from both teams permanently excluded from the match by the officials, creating a fiery and fitting atmosphere from both sets of fans at the Barbados Aquatic Centre. The TT swim team will depart for Barbados on Thursday ahead of the Carifta Aquatics Championships’ swimming competition from April 20-23. Reply to "Three gold, one silver for TT water polo"